In “Theological Thoughts” I take some time to describe my different theological perspectives. 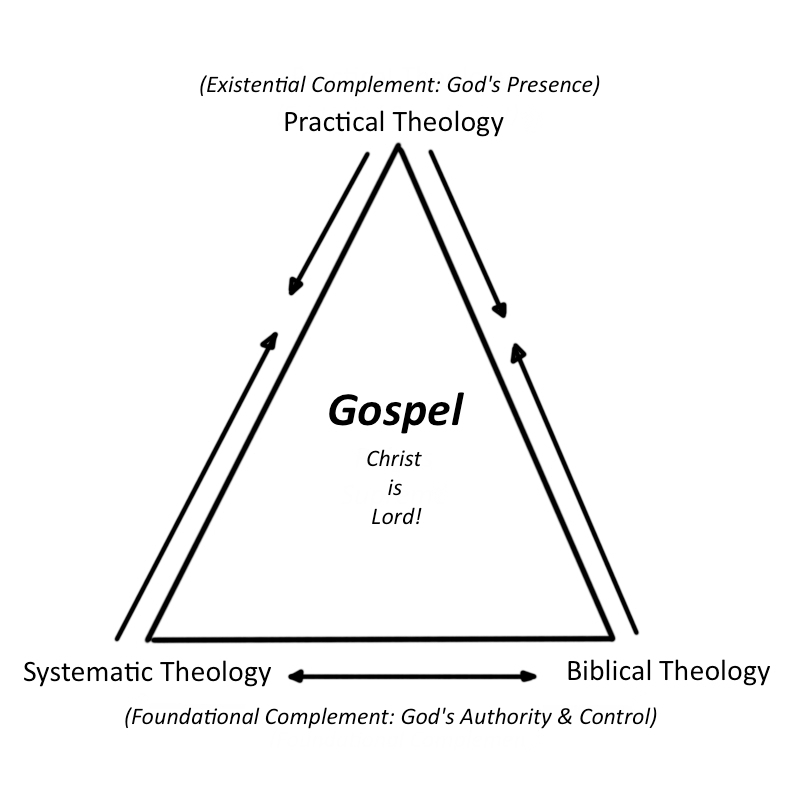 This entry has to do with how the three approaches to theology relate to one another. Question: What is the proper way in which the schools of Biblical Theology, Systematic Theology, and Practical Theology relate to one another? There is an ongoing debate between the proponents of Biblical Theology, the proponents of Systematic Theology, and the proponents of Practical Theology (From here on identified as BT, ST, and PT). The debate is commonly focused around the question “Which theological discipline should be held as central and how should they relate to one another. STs, BTs, and PTs each have a different approach to theology. STs are “Prophetic”. They want to “get the text into the believer.” They are synchronic in their approach. This means that they create and order particular theological perspectives (doctrinal positions) in a way that is removed from the historical and cultural bounds of the text. STs are hierarchical, logical, and topical. STs tend to look at the “particulars” of theology removed from the parameters of the “universal” biblical narrative. STs are theologically concerned with the static and normative rule of God. BTs, on the other hand, are “Kingly”. They want to “get the believer into the text.” They are diachronic in their approach. This means that they order their theological perspectives in way that is immersed in the historical and cultural bounds of the text. They are concerned with narrative and eschatological perspectives. They are interested in how the events in the text relate to God’s overarching, unfolding covenantal and redemptive story. BTs are historical, inductive, and cultural. BTs tend to look at the “universal” over the “particulars” of theology. BTs are theologically concerned with the dynamic and situational story of God. Finally, PTs are “Priestly”. They want “the believer to delight in the God of the text.” They are existential in their approach. This means that their theological perspective focuses on living out the truth of the text. They are concerned with personal application and heart change. They are interested in the personal impact of the text in the life of the believers. PTs are vital, practical, and personal. PTs tend to look at the “meaning” of theology. PTs are theologically concerned with the organic and existential life that God lives in His presence with His beloved. It seems that proponents from each camp of STs and BTs want to accuse the other of not caring about the development of a good sound practical theology or ethics (how we experience and live out the Christian life). I think this is a wrong‐headed point of argument. Any good, gospel‐loving BT or ST is going to care about practical theology. An ST who develops a doctrinal perspective on “Repentance” for example, is going to systematize his teaching using passages like Psalm 51, Mark 1:15, and James 4:4‐10. Though his approach differs from the BT, if the ST is gospel loving, then of course his aim is to help believers to practice, sound biblical repentance. We should not question this desire based upon the ST’s particular discipline. On the other hand, a BT who teaches about repentance in the context of Psalm 51 will draw out many historical, cultural, and eschatological perspectives. 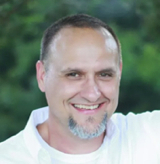 He will teach us about David’s place in God’s story and how Psalm 51 may relate to the garden, the fall, the eschatological contrast of David as faithless King to Christ as our faithful King, etc. Yet, at the end of the day, the good BT will try to get us into David’s sandals so that we might also practice, sound biblical repentance. Both STs and BTs, who are gospel loving theologians, should not be accused of dismissing practical theology based upon the nature of their particular discipline. Another point of argument is over which discipline, BT or ST, is more valuable in developing sound theological perspectives. Many BTs demean the value of the systematic discipline because of its synchronic approach. BTs argue that synchronism creates simplistic and truncated theological perspectives that lead to bad theological understanding and practice. STs demean the value of BT because it is diachronic. STs argue that diachronism creates theological perspectives that are convoluted and ambiguous. N.T. Wright’s view of justification is often sighted by STs as an example of the convoluted perspectives produced by Biblical theology. While there is some merit to this argument, I feel that Wright’s error is not a product of Biblical theology per se. Rather, I feel that his errors are a result of dismissing the perspectives gained from church history. He seems to draw his conclusions in a “vaccum” without the communal contributions of fellow theologians (both alive and dead). Wright also is not willing to accept the visible/invisible ecclesiology that is evident throughout the Old and New Testament. Again, I do not feel that this is due to his being a “Biblical” Theologian. But rather, in regard to the doctrine justification, I feel that it is because he is a “bad” theologian. In conclusion I would suggest a theological paradigm that takes a “Frame‐ian,” (John Frame) tri‐perspectival approach. In doing so, I would include ST and BT, but break out practical theology (PT) as a theological discipline unto itself. As such: I would define the complementary structure of the theological disciplines this way: With the Gospel (see endnote 1) reigning supreme, the threads of systematic doctrine should be immersed within, and emerge from, the tapestry of the biblical narrative. Working together, the foundational disciplines of systematic theology and biblical theology are influenced by the existential presence of the Holy Spirit and subsequently produce a sound and sensible practical theology. Extolling Christ as Lord, the three theological disciplines are held together as Complementary (see endnote 2) and mutually edifying according to their distinct purposes to produce a clear, robust, and life giving theological perspective. 1 Gospel – When I use the word “Gospel” here I mean to imply the Lordship of Christ along with the five Solas of the Reformation. 2 Complementary – When I use the word “complementary,” I do not intend to suggest that each discipline is complementary in the same way. Each is complementary according to their nature and purpose. ST and BT are foundationally complementary in regard to authority and control. PT is existentially complementary in regard to presence. PT existentially complements ST and BT in the sense that a theologian who is submitting to Christ and communing in fellowship with God will generally have better gospel insight than one who is not. In other words, the guidance of the Holy Spirit and the posture of the heart toward God should not be de-emphasized in developing good theological perspectives. Put simply, the good theologian should be prayerful and submissive to Christ. If not, his spiritual judgment is suspect. This entry was posted in Theology and tagged Biblical Theology v. Systematic Theology, John Frame, Theological Perspectives, Triperspectivalism. Bookmark the permalink. Thanks Sami. You da man.